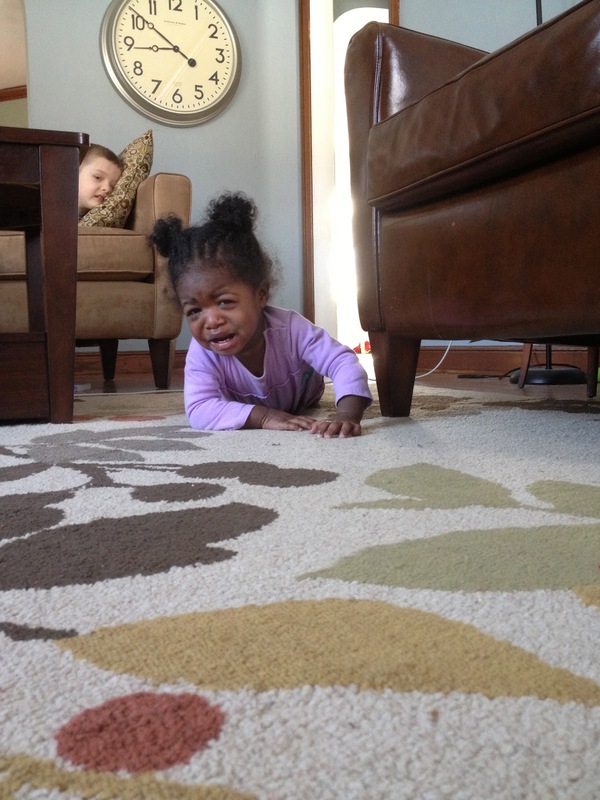 This is quickly becoming a common sight in our home...flat on the floor tantrums. I think I took away a coffee mug and she was quite displeased. 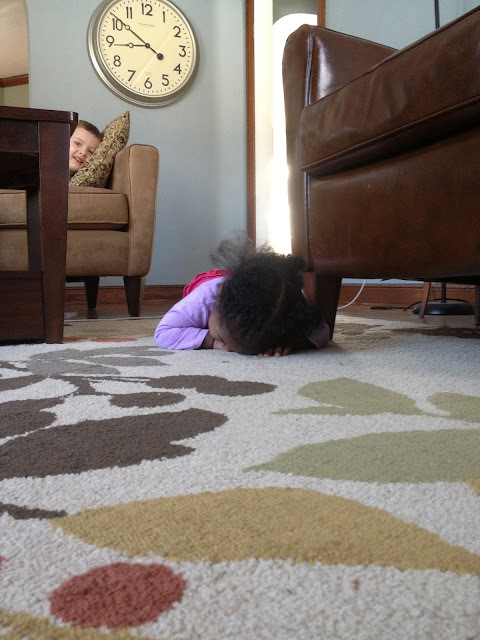 She showed her frustration by falling to the floor and sobbing into the ground. It literally makes me laugh every time because it's so over the top dramatic. I'm sure it will be much less comical as she gets older so I probably shouldn't laugh and inadvertently encourage her. Either way, I think we are going to have alllllll kinds of fun when she really hits the toddler stage. Speaking of toddling, she is upright more and more these days. Slow but sure, she is retiring crawling. It still catches me off guard when I see her walking into a room, but I love it! She took her first steps so long (three and a half months) ago that it made me feel so impatient for her to really start walking. I was nervous she was just never going to get the hang of it since most kids seem to go from first steps to walking in a much shorter time frame. "Normal" development looks so completely differently from baby to baby, though. You'd think I'd have learned that by now. In any case, it's looking like she will be walking fine just in time to play outside when the weather warms up a bit. I can't wait for those days....one day soon I will look outside and see green instead of white and what a glorious day that will be. I haven't seen her in so long. She is so big walking around. Great video!